There are no shadows, due to the overcast sky. 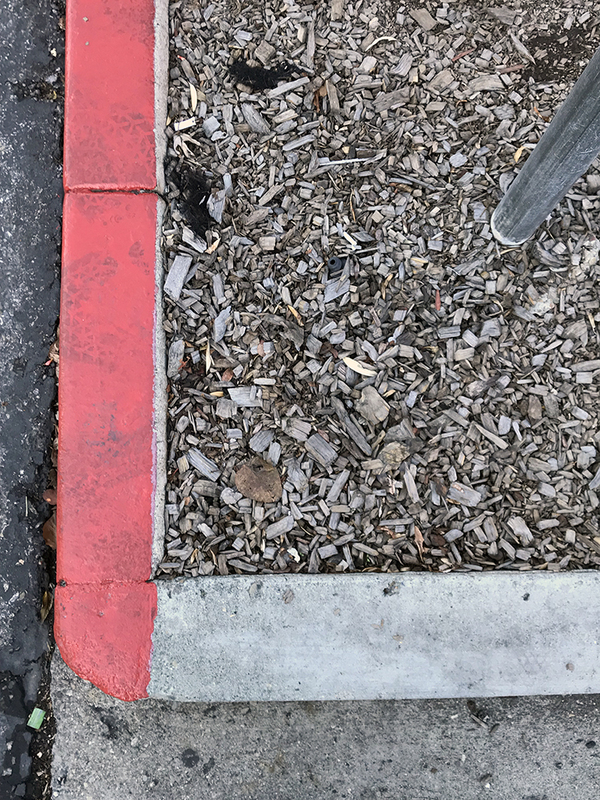 It is rather drab compared with the other photos I’ve taken of the same scene: Same Shot Different Day and Night Shot: Red Curb. This entry was posted in Personal Stories and tagged abstract art, art, artistic process, creativity, found art, photography, repetition, street photography, visual arts. Bookmark the permalink. Thanks for the mention! And I like how the light flattens this image. All the depth disappears. It’s fascinating. Thanks, Claudia. It is a much more mundane shot. Night seems to bring out character.